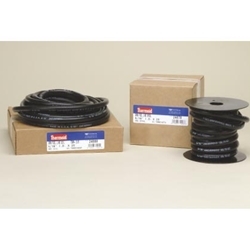 Fuel Line Hose, Spool 5/16" x 25' BOWES HO FH26945. Designed for conveying most modern fuels in cars, trucks, buses, etc. Handles temperature ranges of -40 to +212 degrees F. Withstands oil, grease, abrasion, and ozone. Exceeds the burst requirements of the SAE30R6 specification.